Stephan Lichsteiner joins the Gunners after seven fruitful seasons with Juventus. 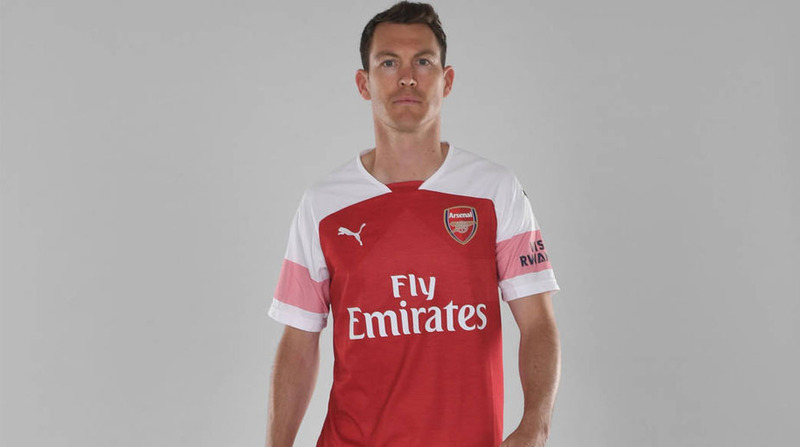 Premier League giants Arsenal on Tuesday made the first signing of the Unai Emery era, bringing in experienced Swiss fullback Stephen Stephan Lichtsteiner from Juventus on a free transfer. “Swiss international defender Stephan Lichtsteiner is joining us from Juventus,” a club statement read. Captain of the Swiss national side, the versatile 34-year-old will be wearing the No.12 jersey for the Gunners, the club confirmed. A serial winner with Juventus, Lichsteiner can play at right-back, right wing-back and right wing. He’s won the Serie A seven times, the Coppa Italia four times and the SuperCoppa Italiana thrice with the Bianconeri. For the past two seasons under Arsene Wenger, the North Londoners were playing a 3-4-3 system and Lichsteiner would be tailor-made for that formation. However, with Emery in charge at the Emirates, it remains to be seen whether Arsenal continue with three at the back or switch to a traditional back-four. At his age, it looks likely that he’ll be a back-up to Hector Bellerin and will not get too many starts. The 34-year-old’s vast experience may come in handy in the UEFA Europa League as Arsenal are likely to employ a second-string side in the continental competition. Arsenal fans have been waiting for a blockbuster transfer and while Lichsteiner’s acquisition is far from that, it is a shrewd piece of business as they pick up an important squad player for a free. Traditionally the Gunners have been very thrifty in their dealings in the transfer market and there are reports that Unai Emery has a a relatively modest war chest of £50 million only. Since Switzerland have qualified for the 2018 FIFA World Cup in Russia, the Gunners faithful can see Lichsteiner in action when the Swiss open their campaign against Brazil on June 17. Drawn in Group E, along with the aforementioned Brazilians, Switzerland will battle it out with the likes of Serbia and Costa Rica to reach the knockout stages.